More ridiculous legislation-Portland or is it Portlandia. And you thought it was going to be a boring winter. In the most bike friendly place in the US, Portland Oregon…Legislator’s in all their free time are trying to ban kids on bike transport. Portland’s avid biking community spun into an uproar today over a proposed ban geared towards young children on bikes. 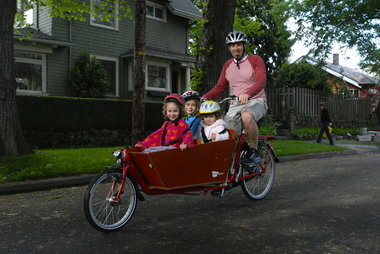 House Bill 2228 introduced by Rep. Mitch Greenlick (D-Portland), would amend an Oregon statute that bans unlawful passengers on a bike by making it illegal to carry a child younger than 6 either on the bike or in a trailer. The bill includes a fine of $90. How about House Bill 666, our planet is a polluted sewer, anyone riding a bicycle in any fashion should be rewarded with tax incentives. On a lighter more entertaining note. I just watched the sneak peak of IFC’s new show about the grungy, coffee obsessed ecco-love city in the Northwest…Portlandia, premiering Friday. 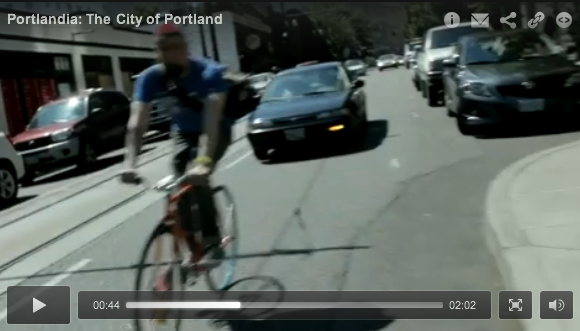 Here is a little peak at the opening music video–Tall bikes and all.